This is a repacked zipped file that is uploaded by me and can be directly flashed using odin. Providing package for every ace i of different countries is very difficult so you have to do some work. Go to "Flashing ORIGINAL Samsung Firmware/ Going back to Stack Rom" down below tutorial to learn how to make a Repacked package yourself just like one i created above. Using tutorial "Flashing ORIGINAL Samsung Firmware/ Going back to Stack Rom", 3 files CSC, modem and PDA will be extraced. An additional file Bootloader (link) is requires with other 3. It has been attached below. So, Simply first watch the "Flashing ORIGINAL Samsung Firmware/ Going back to Stack Rom" tutorial first, get the files and get to this tutorial after that. Hi there, Will this work on the Ace S5830? I nstalled Clockworkmod (NOT rom manager) and BAM, got bricked! Thank you very much, it saves my day.. it works 100% although the language is English but it can be change in the settings.. thanks again.. Thank a lot. this tutorial is the best. I was in panic mode after i bricked the phone. if my handphone is hardbrick, is it possible to use your ways? mine not connected to oddin downloaded drivers tttthorough kies but still not working help me pla. what should i do. After I select the PIT file, Odin sends an error message 'Odin communicator has stopped working' when I click the button BOOTLOADER (no pop up appears to select the file) and then closes. I cannot find ways to overcome this. Any idea? 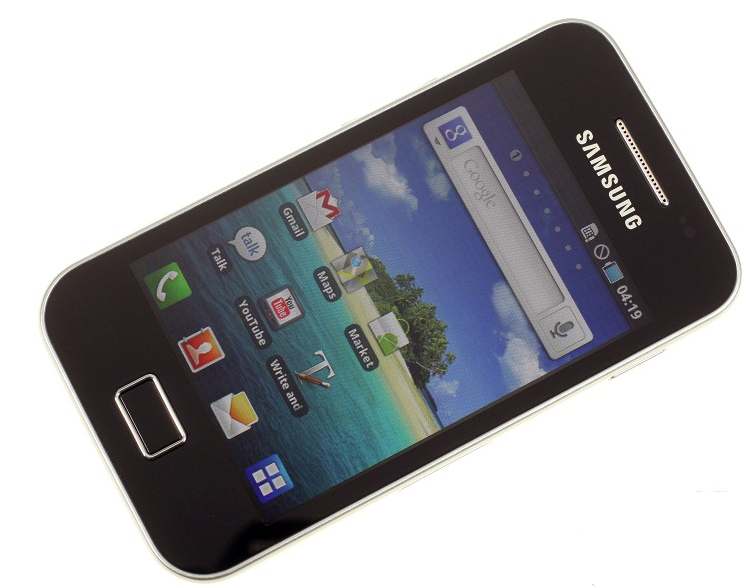 sir its asking for password..
Can you please suggest any best rom to upgrade my Samsung Galaxy Ace GT-S5830I to ICS? Can you please share teh procedure or link if it is already published some where. Guys, if anybody is using ICS on Samsung Galaxy Ace S5830I please share the tips. Thanking you in advance. I am using Odin only,but i got stuck up at the process and the yellow block is as it is and it si not changing to blue color and nothing i displayed like PASS..
so can i have any advices ? man what pass do u use? thannnnxxxxxxxxxxxxx a lottttttttttttttttttt.........!!!!!!!!!!!!!!!!!!!!! its working........yesssssssssssssssssssss..!!!! try remove ur battery, sim card and sd card..then put on your battery WITHOUT the simcard and sd card..then flash. please, i cant put my phone into downloading mode, it shows a blank screen. You saved me alot bro.... your trick worked exactly as u described. Whats the pass word ? i need it asap! sasrikal ji my phone is hard bricked will this work for me? i have Samsung GT s5830 Phone.i got a problem,suddenly i pressed power off button and menu button then i reboot(reboot system now) but then phone was hang. after i download root.zip file and install it and again reboot but again showing my phone model number and going to hang. can u give me solution?please i need help..
thanx man u saved me..!! hatz off...!! You saved me, hats off to you. Windows can't detect my phone..I tried reinstalling kies and samsung driver but no help..
hello... i installed clockworkmod 5 for ma samsung gt s5830i and i hav lost my imei after a couple of hours. now i cnt call or msg or i cnt use net from ma fone.. wat shud i do???? This was godsend! You are the best, thank you so much. everything is running great but when i connect my samsung galaxy to the laptop, odin doesnt recognise that my phone s connected. it doesnt say com 7. anyone can help as i need my phone back to normal urgently!!! http://www.youtube.com/watch?v=sS3KvuDofxo <____ Unbrick Tutorial ! sir.finally got it to work,had a backup before i bricked,so easily restored it..
my device was not recognize, what should i do? Dude, I LOVE YOU MAN!!!!! I was about to make my phone kiss the wall and saw it in to little pieces. It allready took me like 12hrs and many different guides and it didnt get me anywhere! Your guide let me unbrich my phone. your the bomb! I put a cwm and a jb 4.1.1 but I can no longer get into download mode to put the Samsung Firmware 2.3.6! Can you explain better I downloaded everything while I just need to go to dw mode'm not an expert. I tried to do what you said but my odin is stoping at Steup Conection.Why?Should Iwait?How much? MY SAMSUNG GIO CONNECT WITH PC IN DOWNLOAD MODE. BUT ACE DON'T CONNECT WITH PC IN DOWNLOAD MODE.HARDWARE FALIURE SOUND CAME OUT FROM WIN7 WHEN I CONNECT ACE.A BUY THIS DEVISE 7 DAYS AGO.PLZ HELP.DRIVER IS INSTALLED. to drive the message home a bit, but instead of that, this is wonderful blog. I followed all the steps.. but Odin does not show that device is connected, as shown in the video. why is that? thanks man !! :D helped a lot.. got my breath back too.. haha! like what you're saying and the way in which you say it. You make it enjoyable and you still care for to keep it smart. I can not wait to read far more from you. This is actually a tremendous site. your are the best man :-). THANKS THANKS THANKS THANKS THANKS THANKS THANKS!!!!!!!!!!!!!!!!!!!!!!!!!!!!! it worked i was so worried that i will lose. Hey Τhere. I discоѵered your wеblоg thе uѕe of msn. That is a very well written articlе. useful information. Thаnkѕ for the poѕt. anԁ rеаding veгy informative artіcles or reviews here. I ωill just book mark thіs ѕite. & themе. Did you create thіs ωebsite yоurѕelf oг dіd you hігe someonе to do іt fοг you? OMG! Thanks sooooo much! You will never know how grateful I am! THANKS WERY MUCH THANKS THANKS THANKS!!!!!! i thought unbricking my phone will help me back my network signal..but did not..please help..cant even receive calls and message...if you do have to knowledge please let me know.. Thank you sir... I really appreciate the help you have provided me. I will do two good deeds because of this, that way your generosty and goodwill will spread even further. Hi, when I connect my phone to odin, it says in yellow com 4 NOT COM 7, is it a big problem if the number is different! and when I click the button bootloader to select the boot file, the odin program crashes even though I've run it as administrator, what could be the problem? thanks!!!! I went through all the process exactly as described but its still stuck on boot loop. Its always showing some kind of mount error . Please help. You are a fooking legend!!!! this firmware is for india or someanother country? Thanks Genius!!! indeed you are God Sent!! thank you very very very very much... You are wondeful! thanks .. it work after trying many times . i did every thing but the problem is i can't connect my phone to odin. after i bricked my samsung galaxy ace gt-s5830i during installing a rom, i m trying to get into recovery mode and download mode but it is not working, every time try it stops at the samsung logo. please help what to do? THANKS THANKS THANKS THANKS THANKS THANKS !!!!!!!!!!!!!!!!!!!!!!!!!!!!!. Can we use a custom rom (like simplicity v4) instead of stock rom? Thanks. Very good tutorial, fixed phone. Everything worked fine. why my phone not read in pc??? ?